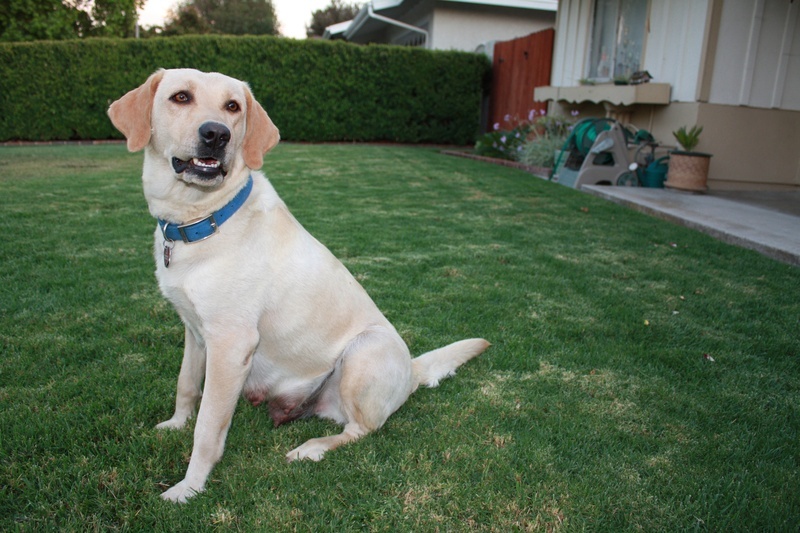 Lacey - Retired- Lacey is now living with a wonderful family in Banning, CA. 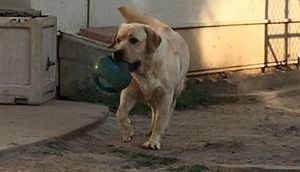 Sadie is now retired and living with her new family in Hesperia, CA. She turned 5 this past July, 2015. She is the daughter of our girl Lacey. She is such a sweet girl and was a Fantastic mother to all her puppies. We will miss her, but now she can enjoy life as a house dog and be completely spoiled by her new family. Baron passed away unexpectedly. He was out doing what he loved to do and had a tragic accident. Baron was my son's best friend! He was the best pillow pet anyone could ever have. He had a gentle personality and loved to be around people. He loved to go on hikes and just hang out in the front yard. He loved to play fetch and had a natural instinct to hunt. He got along with all other dogs including puppies. His puppies were gentle and calm as he was. He loved to be in the water just as a lab should. He had an extremely thick coat, wide head, beautiful top line, and a nice otter tail. 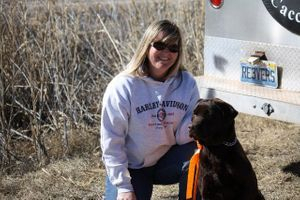 He produced several beautiful puppies over the years that have gone on to be service dogs for the blind, show dogs, hunting dogs, and best friends to so many families. He was our gentle giant. We will never forget you Bear Bear, your love for us will always be in our hearts. I will always keep your blanket hanging in the living room for your son to curl up in. Joe is now retired and living in Laurel Heights, California being extremely spoiled by is new mom Derah. Joe came to us from the Ukraine and is an amazing boy. He sired a few litters for us and even had a few of his off springs named after him. He gets along with all dogs and cats of all sizes. He is fantastic around children and has a very calm temperament. He has the sweetest personality, very loving. I know his new mom will enjoy him as much as we did. 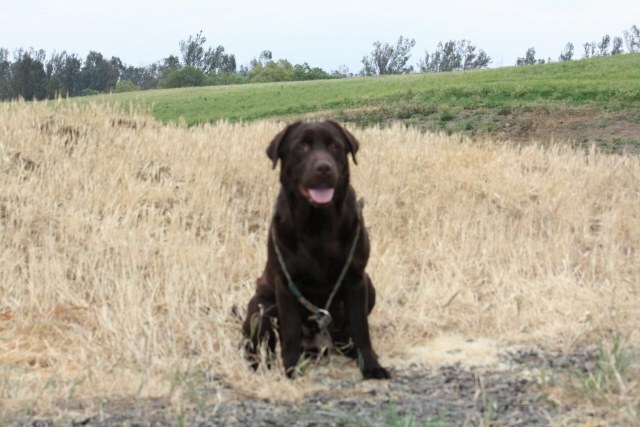 Jewel has retired and is now living here in Southern California with a wonderful family. This family met Jewel a few years ago when they were purchasing a puppy and asked that when we retired her could she come and live with them. Well, almost three years later Jewel is now living with that family and she is loving her new family. Jewel traveled a long way to get here. She was born in Ireland and then brought over to the United States as a puppy. She loved to show and play with the other dogs, but the one thing she loved doing the most was mothering all the other dogs. Her motherly instinct is so strong. She is a fantastic mom! She will mother anything, if its a baby she will take it in as if it were hers. We will miss her, but we know she couldn't be in a better retirement home. Plus, she is close enough that we still can visit when we want. Kai is a one in a Million dog. She is so lovable and has always been the "mom" to all the other dogs here. She does not have a mean bone in her body. She turned 5 in July 2017 and is now enjoying retirement. She earned her Working Certificate and Junior Hunt Title by the age of 1 1/2 years old. She is now my Oldest son's dog and she sleeps on his bed every night. She had many puppies go to become service dogs for Autism children and diabetic patients. She passed her calm and beautiful personality on to each one of her off springs. 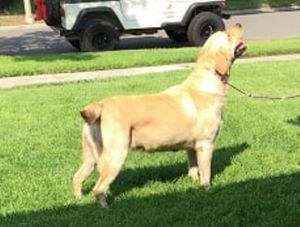 Labrador. Jade is a nice size girl with an extremely thick coat, wide head, and thick otter tail. Jade turned 5 in January 2018. She is now retired and living a wonderful life on a farm. Jade earned her Junior Hunt title when she was 1 and loved to pick up birds. She was an excellent dog that was always eager to please. We will miss Jade but know that she as the best retirement home. She will be able to hunt and pick birds up daily now. She produced some beautiful puppies and we have a son of hers that has the same excellent traits as her.